Interview with Andrew Mangiapane and his mom. (Video) #Flames - Very Barrie Colts | A website covering the Barrie Colts of the OHL. Ryan Leslie sits down with the NHL draft pick and his mother to discuss the hard questions. You know, like the proper way to pronounce Mangiapeane, what it means and that kind of hard hitting stuff. 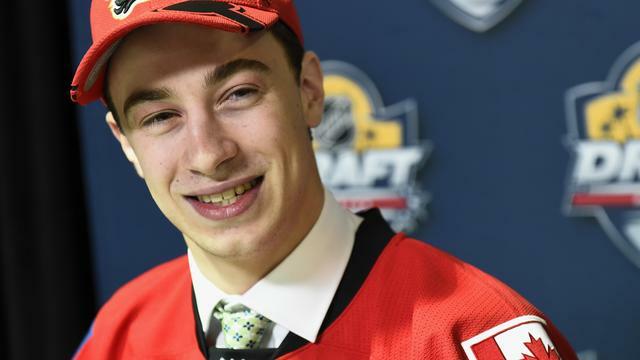 They also get into his becoming a Barrie Colt as well as incidents where his mother, Patricia got into it with Barrie Colts head coach Dale Hawerchuk over minutes. If you have missed the video, here it is courtesy of the Calgary Flames website.